Wagtail numbers like many other UK birds are suffering declines (UK Wagtail numbers almost halved, report 1st September). According to the BTO’s Breeding Bird Survey (BBS) other once familiar birds such as grey partridge and skylark are replicating this pattern. But there is light on the horizon. 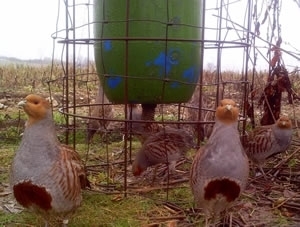 According to our research where farms and shooting estates have been putting in place targeted options such as summer insect rich habitats, wild bird seed mixes and leaving over-winter stubbles, while also practising legal, targeted predator control, monitoring through our Partridge Count Scheme, has shown a positive increase in numbers. Between 2000-2010, we have recorded an 79% increase in grey partridge pairs on estates that are monitoring their birds as well as implementing year- round management. This targeted management would work equally well for skylarks and although yellow wagtail migrate over-winter, they would also benefit from summer activities carried out on farms targeting grey partridge recovery.